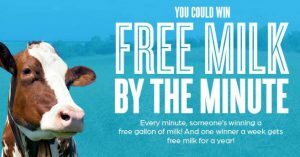 Through October 17, 2013, enter the Got Milk Got Protein Sweepstakes to try to win a coupon for a FREE gallon of white milk (up to $4 value)! There will be a winner every minute for a total of 82,080 winners! 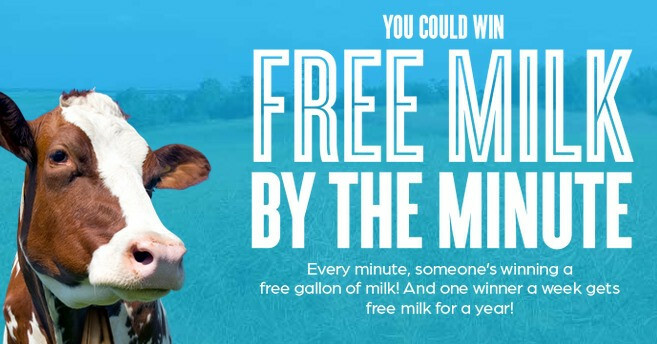 You’ll also have the chance to win the weekly prize of FREE milk for a year! Enter daily for a better chance of winning. Winners will be drawn weekly and will be notified within 5 days of the drawing.